"Humans are experts at storing knowledge and forgetting facts..."
I'll admit I am not well read in sf. I spent most of my life roaming around and exploring the f in SFF. So it can take me longer to sink into sf worlds. Anders crafts a tangible new planet with January and really breathes life into it with striking imagery. But there was a lot of time spent on the worldbuilding -- like 200 pages before the really good bits kicked in. Personally, I would've liked to have started with the Gelet and stayed with them far longer than 30+ pages. And, while I get the final pages, the ending is abrupt. I think the point was to end on hope, despite the planet's prognosis. At least that's how I choose to interpret it. *Disclaimer: A major pet peeve is toxic relationships in which one partner continually gives into the other partner. Like the one partner has a secret power and the other partner is helpless against it or something. Yes, I realize this is part of what makes codependent relationships bad; I just can't stand to read from the POV of the push over. Now, the character and relationship that fits the above does have a believable transformation, if not of the too-little-too-late variety. Kind of like, so much more could've been accomplished and avoided if the character had wised up sooner than later. 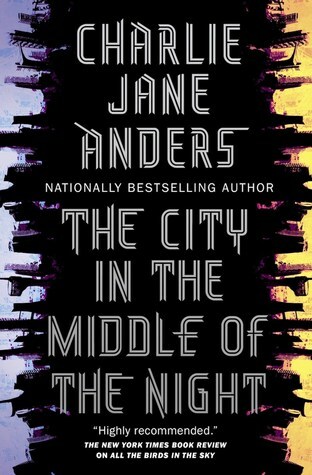 Sign into Goodreads to see if any of your friends have read The City in the Middle of the Night.